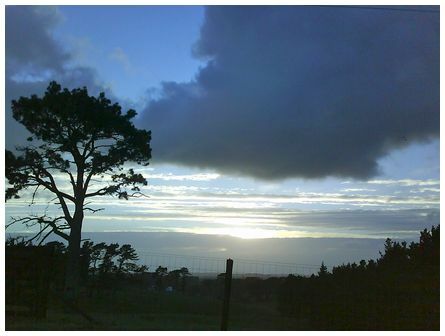 'Looking West from Hillcrest in Hamilton at 19:30 on 19 December 2009. 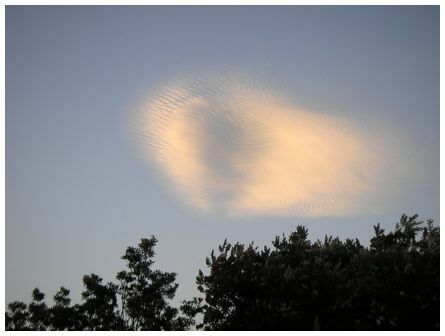 Looked like a fingerprint in the sky. Camera Olympus IR -300' wrote Dennis. 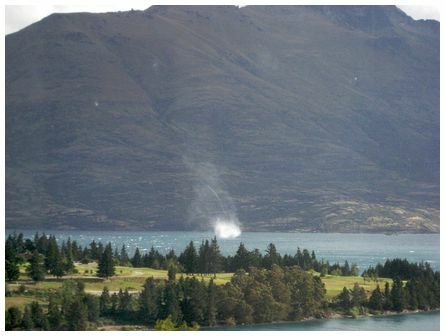 'Waterspout in Lake Wakatipu, Sunday 20 January 2009' wrote Marijke. 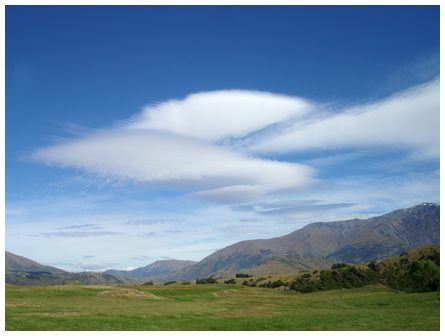 'Wonderful altocumulus lenticularis, created by the Remarkables at 17:05 on 7 December 2009. 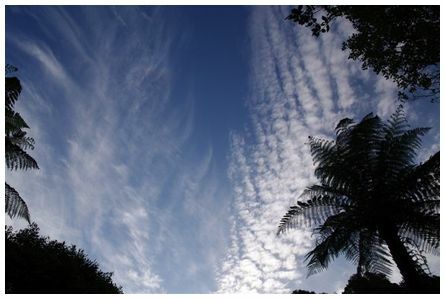 View from the bottom of Coronet Peak at Flight Park, Paragliding landing field. 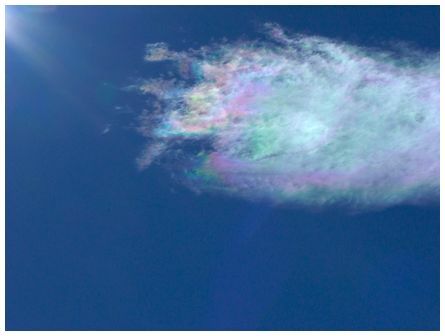 Camara: Sony VX DCS-W7' wrote Tony. 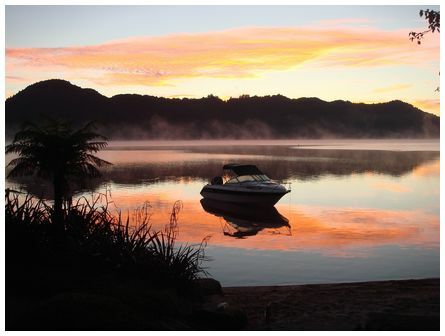 Martyn's photograph of sunrise at Lake Orareka - near Rotorua was at 07:00 on 22 March 2009.